The Precision Metal Industries (PMI) team is known throughout the medical sector for our innovative design services and precision manufacturing. 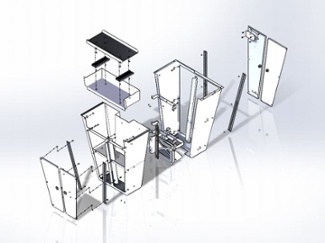 We offer turnkey solutions for the most difficult engineering and fabrication challenges, illustrated by a project we recently completed for Soteria Medical, a company in the medical industry. Needing assistance with a custom project, Soteria Medical approached our team with a verbal project description but very few specifics regarding the product they needed to create. They trusted us to create the best possible design, develop a plan for full manufacturing, and deliver a high-quality final product. Our client originally purchased a medical cabinet that did not meet all of their requirements; they needed a new cabinet to replace the original purchase, but did not have any concept drawings to outline their desired replacement product. When we met with the client’s team, they could only provide a general concept of the proposed cabinet’s specifications, which needed to contain an array of specialized medical equipment. Paying close attention to the details of our client’s requirements, we translated their verbal ideas into CAD drawings based on descriptions. 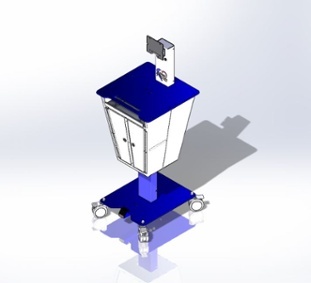 Soteria granted us full creative license to create a design that would employ our diverse manufacturing capabilities to fabricate a custom cabinet capable of housing and protecting sensitive equipment. With our innovative design capabilities, highly skilled personnel, and state-of-the-art machinery, the PMI team performed all design and manufacturing in-house. This provided substantial time- and cost-savings when compared to outsourcing the fabrication process. After completing detailed plans, our employees used sheet metal forming and machining, as well as welding and automated laser cutting, to manufacture the cabinet. We took special care to not only create the most accurate and functional cabinet possible, but to also provide an aesthetically pleasing product with a smooth, durable finish. After the design, manufacturing, and delivery processes were complete, we received a glowing report back from our customer. Our cabinet provided all of the functionality that they required, along with impressive craftsmanship. It fulfilled all of the requirements that their original model had been unable to fulfill — and was built for a lower cost than the original manufacturer. Because we streamlined the manufacturing process by completing the entire project in our own facility, we provided substantial cost savings and a fast lead time for our client. 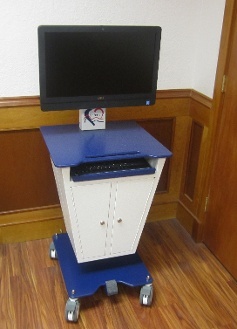 Soteria was so impressed with the medical cabinet that we created for them that they have reached out to us to work on a new project. We are now developing new medical cabinets that will be employed in a variety of medical environments — all manufactured with the highest quality and most cost-effective processes available on the market. This full turnkey project is representative of the creative and proactive role we take in all of our clients’ custom manufacturing jobs. We take pride in accepting the highly complex, sophisticated work projects required in the medical industry. For more information about our medical industry capabilities, download our eBook, 7 Factors When Sourcing Your Medical Enclosures. For further information or to discuss how we can support your company on your latest project, contact us directly.